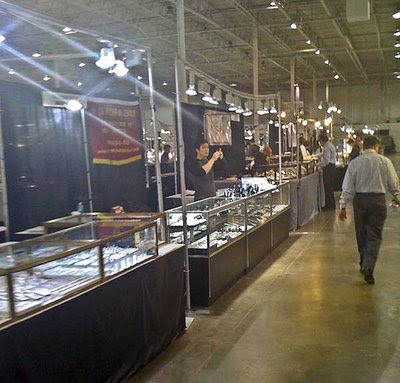 We went to the International Gem & Jewelry Show this weekend in Chantily, VA and had no problem shopping. Normally you are shoulder to shoulder at this show but the crowds were quite manageable. We were in and out in a couple of hours with about 3/4 of the items we had on our purchase list. And we behaved! We only bought off our list for a change.